Ludovico Einaudi (born 23 November 1955 in Turin) is a modern-day Italian composer and pianist particularly noted for the use of developing melodious phrases in his piano compositions. He began his musical training at the Conservatorio Verdi in Milan, Italy, gaining a diploma in composition. Later, he studied with Luciano Berio. In 1982, he gained a scholarship to the Tanglewood Music Festival. He currently resides on a vineyard in the Italian region of Piemonte. Although Einaudi would prefer not to be labeled as any particular type of composer, he is generally considered a Minimalist. He began his musical training at the Conservatorio Verdi in Milan, Italy, gaining a diploma in composition. Later, he studied with Luciano Berio. In 1982, he gained a scholarship to the Tanglewood Music Festival. He currently resides on a vineyard in the Italian region of Piemonte. 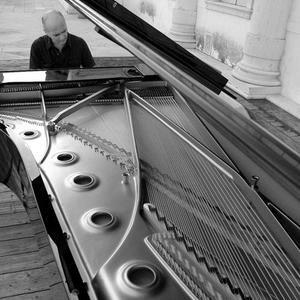 Although Einaudi would prefer not to be labeled as any particular type of composer, he is generally considered a Minimalist.